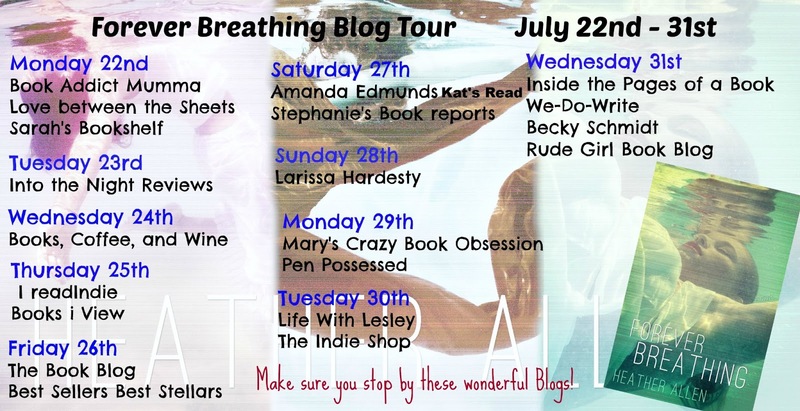 Monday starts the blog tour for Forever Breathing! stop by all of these wonderful blogs! I live in the beautiful sunshine state, Florida. A hopeless romantic and avid reader. I adore the water...I'm at the beach or out on the boat every chance I get! All of my spare time is spent writing or dreaming about what I can write about next! The Just Breathe Trilogy is the first of my book babies. The next The Sound of Shooting Stars, will be released in early November 2013. Confessions Of A Book Heaux!! Ethereal theme. Theme images by saw. Powered by Blogger.